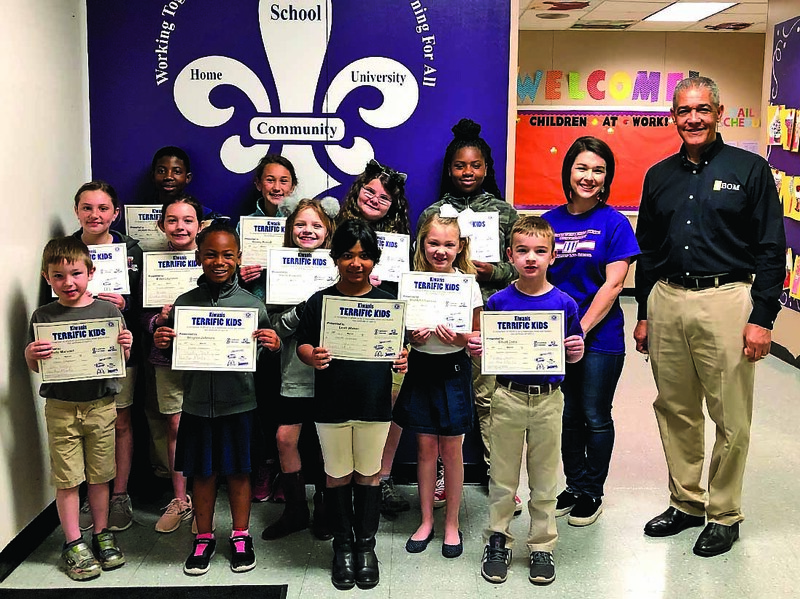 NSU Elementary Lab School has announced its Terrific Kids for March. On front row from left are Jody Morvant, Braylee Johnson, Leah Weber and Elliott Coco. On middle row are Avery Colvin, Eden Laurence, Reese Kiracofe and Braelyn Chasteen. On back row are Jayden Hoover, Ainsley Pickett, Finnly Richard, Ariana Adams, secretary Kellie Cedars and BOM Rep. Henry Rachal.